The World’s First-Ever Production Variable Compression Engine. A brand-new edition to the INFINITI family of luxury vehicles is the new INFINITI QX50 SUV. 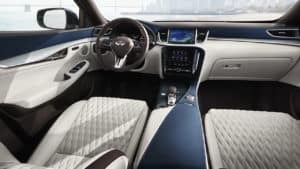 Everything you loved about the previous version of the QX50 has been improved even further, plus INFINITI has added a bunch of great new features as well! Dependability, luxury, and performance are cornerstones of the INFINITI fleet, and the QX50 is no exception to this attention to excellence. If you are in the market for the best crossover SUV for your money, then look no further than the QX50! The Colorado lifestyle virtually demands an all-weather capable all-wheel-drive vehicle. The Rocky Mountains offer skiing, and other snow sports in the winter and an abundance of family activities in the summer. The INFINITI QX50 meets all these requirements and more. This amazing crossover SUV is designed to take care of your family’s needs in almost every weather condition. 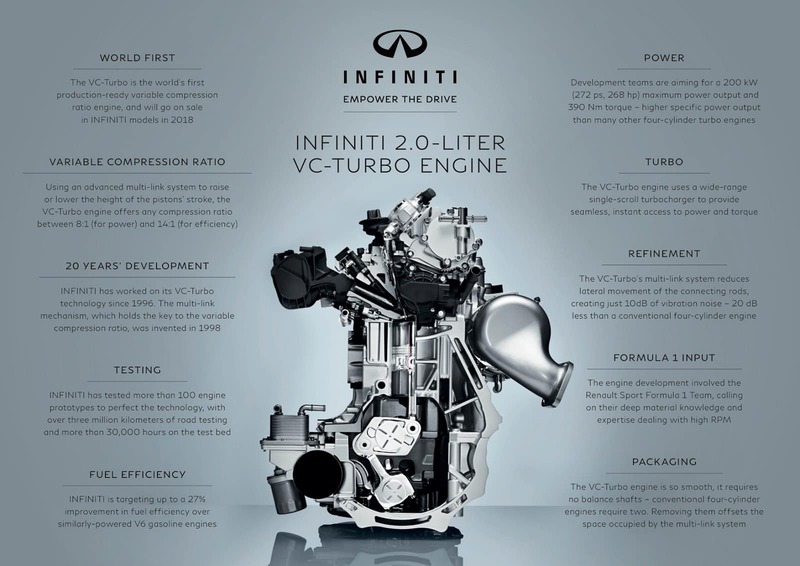 All three of the INFINITI QX50 models are fitted with the impressively powerful 2.0L VC-Turbo Engine. This engine is the world’s first variable compression turbo engine. This means you have an engine which maximizes both performance and efficiency depending on the situation! With 268-hp there is enough power to ensure you get a jolt of excitement every time you hit the gas pedal. The 24 city/31 highway MPG estimates mean you can experience the exceptional power for longer between fuel fill ups! Handling the QX50 is also effortless, thanks to the introduction of the exclusive Direct Adaptive Steering™ system. The DAS system constantly adjusts the drive of the QX50, ultimately reducing the fatigue the driver feels when they are behind the wheel. If you are looking for AWD capabilities, the special Intelligent AWD system on each of the three models adds exceptional handling performance for a wide variety of driving conditions. With cubic interior space ranging from 31.4 cubic feet to 65.1 cubic feet depending on the number of rear seats that have been folded down, the INFINITI QX50 is an incredibly spacious crossover SUV! The rear seats are also able to be reclined as far back as the occupant would like to have them, offering exceptional comfort for all passengers. There is also increased leg room over the 2018 model, providing a new dimension of comfort that other SUVs cannot match. The PURE model is loaded with 8-way powered front seats including powered lumbar support, further enhancing the comfortability for the driver and front passenger. The PURE is also standard with the INFINITI InTouch™ dual display system, the fantastic multimedia system by INFINITI. The LUXE adds an exciting panoramic moonroof which has power opening/closing functionality, as well as additional interior detailing done in aluminum. Finally, the ESSENTIAL model gives you the INFINITI InTouch™ Navigation system and tri-zone climate control to complete the ultimate comfort experience. INFINITI really brought innovative safety technology to the forefront of its design philosophy, and this holds true for all models of the INFINITI QX50. On the base PURE edition, you can expect the advanced Forward Emergency Braking system which also features pedestrian detection for enhanced safety on the road! The PURE also comes with the Vehicle Dynamic Control system, giving you exceptional handling precision when you need the extra help! A Blind Spot Warning system is added when you purchase the LUXE edition of the QX50, giving the driver an extra set of eyes where they need them the most. The ESSENTIAL brings with it the innovative Around View Monitor® and Moving Object Detection system, giving the driver unparalleled information about the world around them! Rain-sensing wipers also eliminate the need for the driver to manually operate them, leaving the driver able to keep their focus on the road. There are several optional trim packages available for the INFINITI QX50. All packages are not available on all models. 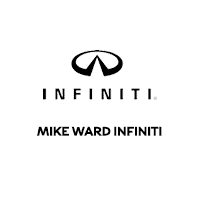 Stop by to test drive the new INFINITI QX50 SUV today at Mike Ward INFINITI – serving the entire Denver, Colorado metro area from our Highlands Ranch location.